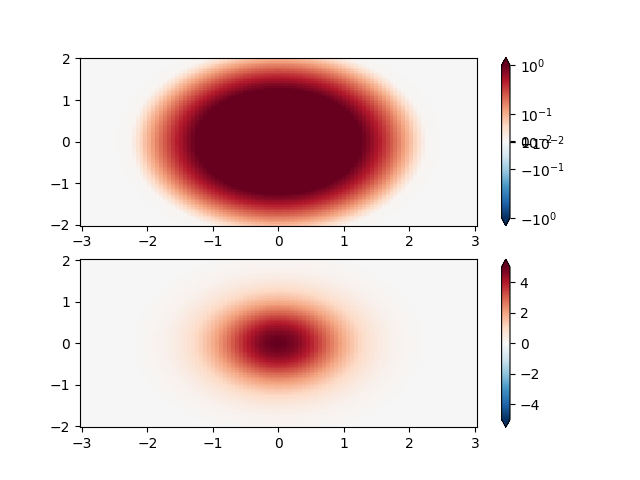 Demonstration of using norm to map colormaps onto data in non-linear ways. Lognorm: Instead of pcolor log10(Z1) you can have colorbars that have the exponential labels using a norm. # scale only shows the spike. 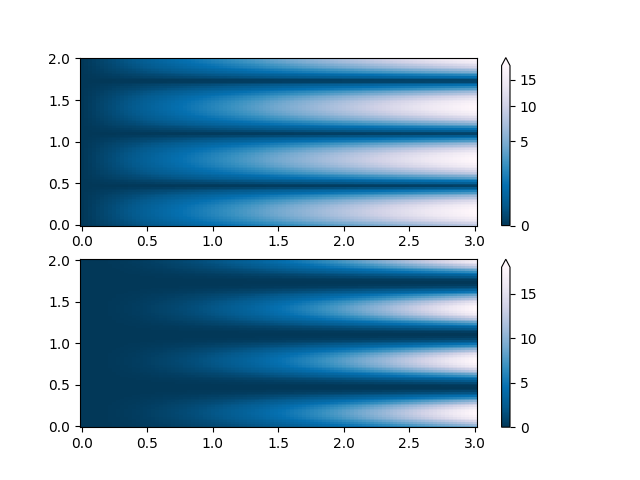 PowerNorm: Here a power-law trend in X partially obscures a rectified sine wave in Y. We can remove the power law using a PowerNorm. 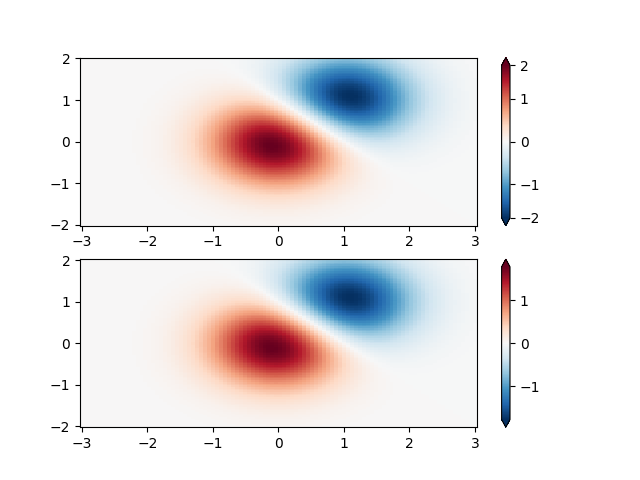 SymLogNorm: two humps, one negative and one positive, The positive with 5-times the amplitude. Linearly, you cannot see detail in the negative hump. Here we logarithmically scale the positive and negative data separately. Note that colorbar labels do not come out looking very good. 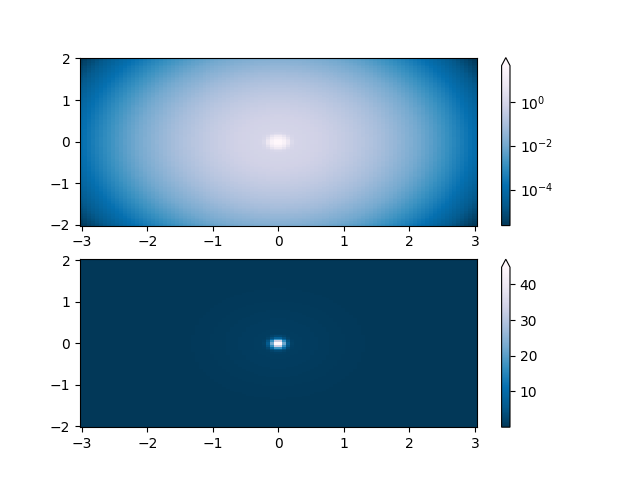 Custom Norm: An example with a customized normalization. This one uses the example above, and normalizes the negative data differently from the positive. # Example of making your own norm. 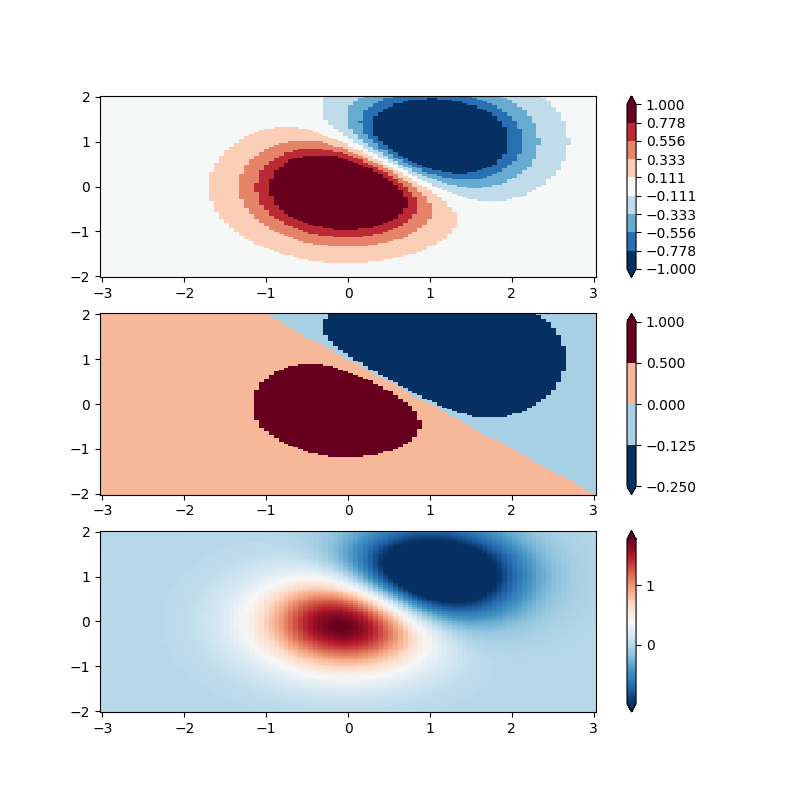 Also see matplotlib.colors. BoundaryNorm: For this one you provide the boundaries for your colors, and the Norm puts the first color in between the first pair, the second color between the second pair, etc.